For the people you love, order this gift of Fascinating Rakhi, 100 gm. 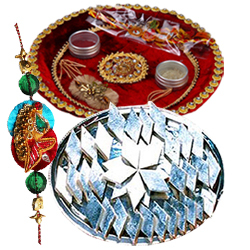 Kaju Katli and Puja Thali for Raksha Bandhan and paint a broad smile on their faces. A slight variation in design may take place.